As I began my research on the Pentair MiniMax NT error codes, I immediately noticed the lack of resources for this heater. 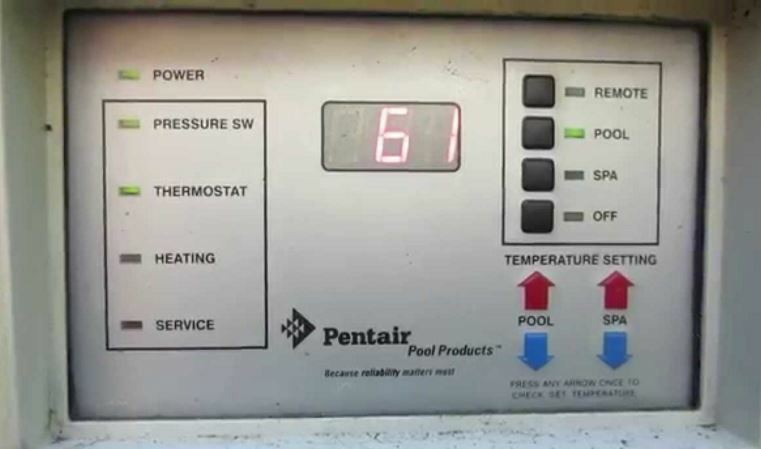 Sure, the most immediate and direct source of information would come from Pentair themselves, but it doesn’t address the need for immediate guidance a pool owner may be searching for online. If you have a Pentair MiniMax NT and are experiencing technical issues, this blog is for you. One of the reasons it is so hard to diagnose technical issues online is because every pool and every heaters are different. Tiny variables in the installation of the heater can attribute to why one thing can fix an error code for one pool owner but not the other. 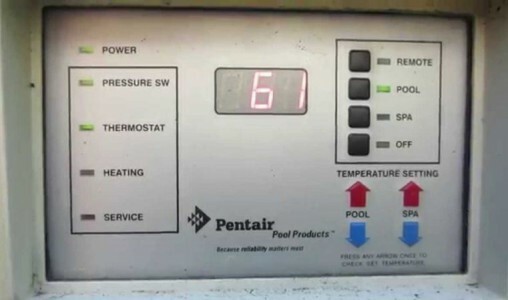 In some instances, the cause of an error code can be unique for the pool owner and their set up. With that in mind, we gathered as much information and attempted to include all the different reasons why an error code may present itself. Not every recommended solution will work for every scenario. In the event that our error guide does not cover your particular issue, or simply does not rid your error codes, we recommend contacting Pentair directly at 800-831-7133. There are nine lights that can be seen from the front of the control panel. Five are system indicators and four are mode indicators. If something should go wrong, the lights will aid in troubleshooting the problem. An additional four lights can be seen after opening the control panel. These four lights are diagnostic indicators for the service technician to troubleshoot the system. Before we dive into the error codes, let’s explore the five system indicators. External power to the heater is disconnected. Check service panel circuit breaker, or fuse. Verify if the pump is primed. Check water flow restriction. There may be a closed valve or a clogged filter or pump basket. The ‘Thermostat’ light is an indication that your water’s temperature is falling before the set point. This causes your heater to fire in order to maintain the desired water temperature. The ‘Heating’ light is on any time the thermostat has signaled a call for heat. This initializes the ignition safety circuit. The heating light is an indication that your unit successfully fired the main burners and will stay on until the water reaches its desired temperature. The ‘Service’ light is off during normal operation of the heater. This light will only come on if a problem with a control has occurred, or when the heater is first firing. The Digital Display Temperature Controller (DDTC) display contains three LEDs with a decimal point between the first and second. This display is also used to display an error code if there is a failure within the heater control system or a DDTC internal fault. The DDTC will display the actual temperature or the set-point temperature. When the DDTC detects an error, the display will show Exx, where Exx is the error code of the DDTC fault. Codes 1 through 9 indicate a “soft lockout”error which means the heater will resume normal operation and restart immediately after the errors are fixed. Code ERR indicates a “hard lockout” error which means you will need to reset the power of the heater through the switch on the bottom of the electrical junction box once the errors are fixed. Check the voltage going into the heater. If the voltage is correct, the issue may be the transformer. The ‘E02’ error code indicates that the high limit sensor has tripped. A “High Limit” is a safety device that opens the electrical circuit and shuts off the heater based on a water temperature set point within the “High Limit Device”. The MiniMax NT heater contains (2) high limit devices which are located on the main inlet / outlet header. One senses the inlet water temperature and the other senses the outlet water temperature. To verify, you will need to trace the voltage through the sensor loop to find where it is stopping and which sensor could possibly be at fault. Specifically, you will need to check the voltage on either side of the high limit switch. An abrupt shut off, such as an electrical shortage or lightning, can also trigger the E02 error code. Verify the voltage going through high limit sensors. Replace if necessary. The E03 error code indicates that the thermal fuse is open. The thermal fuse/cutoff is a safety device that is held together by wax. Upon detection of excessive heat within the inner front panel, the fuse will open the safety circuit causing the shutdown of the heater. It’s main job is to keep the heat source from hurting the heater. In short, if the thermal fuse is open, you may have fire backing up into the heater outside the fire box. Examine the thermal fuse. Replace if you see any sign of wear and tear or defect. The ‘E04’ error code is an indication that the fan, or blower, has failed. Sometimes the signs are apparent like simply hearing unordinary noises coming from the fan. Or, sometimes it can be misconceiving. The blower may turn on and the heater may fire up for a few seconds, but will turn back off within a few seconds. The ‘E05’ error code indicates that the ignition has failed. In many cases, the heater may fire up and heat for a few minutes, but shorten out. Typically, this is caused by a bad igniter, but not always. This also frequently happens to pool owners who have not fired their heater in months. The E05 error code is a pretty general failure code and could be generated for many reasons. Igniter- It’s possible that the igniter is bad or just a little rusty. Try cleaning and restarting the unit. You may need to replace it altogether. Burner assembly- Check for rust debris from the base heat shield louvers. They tend to rust. Bad sensor- Check the sensor to ensure it’s not damaged in any way. Try cleaning and restarting unit. You may need to replace it altogether. Intake/outtake- Check the intake and the outtake venting for obstruction. This will prevent the igniter from starting. Control board- You may want to check the lights on the back of the control board. There are indicator lights in the back of the board that should help you further diagnose the problem. Pentair recommends calling a certified Pentair Service Technician for troubleshooting the board. ** If you see the ‘E06’ error code, we recommend you contact Pentair directly and allow them to troubleshoot the unit with your over the phone. Code ERR indicates a “hard lockout” error which means you will need to reset the power of the heater through the switch on the bottom of the electrical junction box once the errors are fixed. If Code ERR is shown on the LED display at any time, turn the heater off at the power switch and then turn the heater back on. If the error code is still displayed, call a certified Pentair Service Technician for repair. We write blogs like this one to help pool owners save as much money as possible. Why pay someone to do something you could have easily done yourself? It makes little sense. What does make sense, though, is not biting off more than you can chew. If for whatever reason you do not feel comfortable doing anything with your unit, don’t. Heaters are expensive pieces of equipment and sometimes the pool owner can do more harm than good. A good rule is, when in doubt- give Pentair’s technical support a call. They will troubleshoot the heater with you over the phone and help come up with viable solutions. Thanks for the article Charlie. This was very helpful. My Pentair Mini Max NT has the green lights on and seems to be working fine. When I pre the spa or pool button the unit starts up, the thermostat light goes on, and then the unit reads OFF. The unit continues to run and recycles trying to move forward but ends up reading OFF. I have plenty or propane, the heater has fired up completely and worked as of 2 weeks ago. Pressure in filter reads between 15 & 20. I have the same problem! Mine has the power light and the pressure light in green, then about 5 seconds later the Thermostat light comes on for about a half second and goes off, i hear an audible click and then immediately and says OFF for a second and then goes back to — until it does the same thing again, over and over. Will not keep the thermostat light on so it will not even start the fan or the ignition process. Please help! Try this manual page 33, Pentair MiniMax NT Troubleshooting Manual. It could be as simple as a jumper switch, but this all depends on which lights are illuminated at the time of the fault. Oh man, with the Pentair website redesign, that link is dead. Much sadness. I ordered a new thermistor (the yellow wires one) and replaced it and my heater works again. ? I just started getting the “OFF” message too. I’m not sure what is going on. Try checking indoor controller. Press “HEAT” button and make sure spa mode has heat selected. after replacing the control board 472100 and still getting the service light, no fan, no starting procedures. just service light. is there a power module to replace when putting in the 472100? i remember someone trying to sell the package of control board and power module? help. What is the model number of your unit? There are three ignition modules available for the Pentair Minimax NT: 472150, 472447, 472449.
great article. I get the power light on top left it is on but no other lights like pressure etc. and I get Off message in center code read out area. I select Pool or spa or remote or off and lights do appear but nothing comes on even when adjusting the temperature up and down. So I get no fan starts ; just the error code off. filter motor/pump is new replacement variable speed. Tried full power as well as 2200 rpm. Any suggestions? Any advice here… I am getting an “ERR” rapidly flashing on my display when power is added. I can’t find this problem in any of the manuals or code guides. Matthew, you say you’re trying to help, but yet the solution to ‘ERR’ you post is ‘Call Pentair’…well, it is not very helpful if you are telling me I need Pentair to fix the problem for me…if so, whats the point of your page? I’m sorry if you think we’re not being very helpful. The point of our page is to provide insight to pool owners to try and point them in the right direction to fix their problems. However, there are some instances that require you to reach out to the manufacturer for their help. This is one of those times. Pentair can be reached at 800-831-7133. Don’t know if you noticed…but INYOPOOLS.COM is not called “Pentair error codes specific only to the one code that you are experiencing.com”. 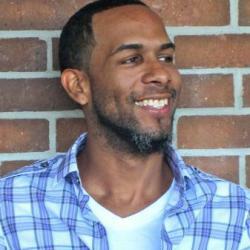 It is a VERY helpful site, even when it might come up a little short on some answers. Nobody’s perfect. Quit being such an entitled prick. Well first off. Turn off your heater and if you have the ability shut the gas down to the heater immediately. You may have a bad gas line, valve or a bunch of other issues. Call a pool heater service company to get that checked asap. Thank you so much for your help, I solve the problem. Your information was very helpful..
And in that case, you need to call a certified technician to inspect the heater for any other malfunctions. My unit was running fine and the one day I got the err code and I’ve turned the unit off and on several times. It still has the same code. Please help. We provide a solution in the article. Did you read the full explanation. It could be a few things because it depends on when the light comes on during ignition. This is an excerpt from the Pentair Minimax Manual service light section. I fixed it today, a mouse had chewed through the air tubing coming off the fan causing the problem! Thanks for the help! I have a 10-year-old Minimax NT 200 heating the spa (and 400 heating the pool). It has the 472100 Digital Display Temperature Controller Board. Last season it would intermittently not respond to calls for heat from the remote panel, but when it did I could start it manually from the front panel. Now it has stopped altogether. The only light on the DDTC is the Power light. None of the buttons does anything. On a hunch based on a service manual, I jumpered the two orange wires coming off the board. Still no response from the buttons, although one more light (Pressure, I think) lit up. But when I called for heat from the remote panel, it fired right up. I assume this means I need a new circuit board, right??? That sounds like a new board is what you need. But for a last ditch effort try TroubleFree Pool’s forum, they usually have a fix. I see a thread on there similar to this question, you may have already posted. hey Mathew – I’m having a pretty strange issue with my Pentair MiniMax NT heater – hoping you can help. No error lights, systems normal. 10 year old system – never failed me. But the water coming out of the jets in the Jacuzzi never gets hot?? It never even really get warm. How would the pump pressure flow through the heater and out the jets without getting hot? Is there a bypass or something that would keep it from heating? There’s no water bypass inside the heater that would circumnavigate the heater element. Do you have a valve before that heater that allows you to bypass the gas heater? If so, maybe it is not opening/closing correctly. I have a MiniMax Nt 400dv. The heater isn’t coming on, the pressure switch light comes on, the temperature light comes on and the power lights up as well. When I set it to Spa or Pool nothing changes, the temperature keeps showing on the display (61F), I already checked gas , connections and took a look inside for anything out of the ordinary. Please let me know what to do next. Do you hear any noise coming from your pool heater like a “click” or a “thunk” or is it just dead? Does your display have a “HEAT” light? It could be a bad ignition module, if that is the case it is a hefty chunk of change to replace. Have you tried calling Pentair Technical Support to have them troubleshoot it over the phone? Thanks for the replay, No noise…the HEAT light doesn’t come on. I will try you sugestion and try to get a hold of Pentair. This is a very well written post. We need more posts like this. So that people can feel more confident with dealing with issues when it come to their pool equipment. Great job!!! E04 error code. Trys to ignite, with a slight whining noise. Does this twice then get the error code. Any suggestions? Ernie, your best bet is to call the manufacturer to help with troubleshooting or have a tech come out for an inspection. Hi, I have a mini max nt and the pool heats to 84 no problem, but when I switch it to the Jacuzzi it will heat to about 90, and stop heating with no errors. I tried bumping up the settings temp, but it still stops at 90. No error code. I replaced the cheap stuff like thermister, high limit thermostat, flow valve, and even the tried bypassing the water pressure switch. Any ideas Matthew? thanks for any advise. The only lights that lit are the spa or pool button which is checked (green) on the right and the power button in the left (green). Any thoughts? I have a minimax nt that is about 13 years old. Getting E04 error code. Is this thing worth fixing or is it time to buy a new heater? A blower is an expensive repair for a heater that is older than a decade. It is your call, but I would replace the heater. My reasoning, the other parts of the heater will eventually fail, leaving you with a brand new blower, on a broke down the heater. My Minimax NT is at least a decade old, based on the looks of it (owned the house for five years). We’ve used the heater on nearly a once week basis with no issues. Did not use for a couple months and now it will not work. When turning it on,the panel flashes “OFF” and blows out cold air. Replaced the control panel/motherboard ($254) plus the cost of installation. The pool filter was recently cleaned as well. After install of new control panel heater kicked on and worked perfectly. Shut it off went back several hours later and it is now doing the same exact thing… Flashing “OFF” and not kicking on. Any idea what the problem could be? I had to contact Pentair for this answer; they stated it is either a bad pressure switch or the water flow is not strong enough to kick-on the heater. Have you recently changed to a smaller pump? Or installed a dual or variable speed? If it is not the flow, then I suggest contacting Pentair to get the correct part number for the pressure switch. There a few options going by which version of MiniMax NT you own. My heater will fire up, run for a minute or so and then turns off as the fan seems to speed up. 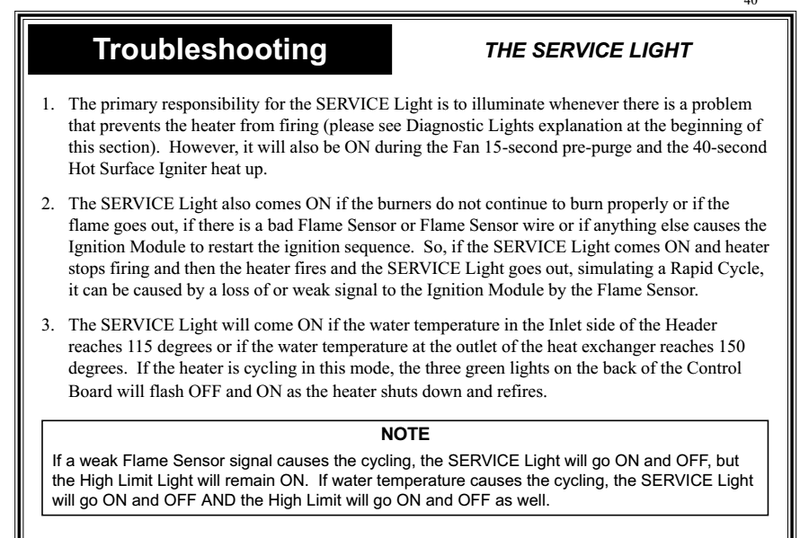 i just replaced the flame sensor and that didn’t do the trick. Some of the digits on the digital display do not work so i can not read an error code if there is one. Any suggestions? The thermistor may be the issue here. The part number is 471566; it tells your heater when to come on and when to come off. Because you can not see your fault code, this is my best guess going by the symptoms. Hi Matt. I tried a new thermistor and that didn’t cure the problem. I also checked the valve assembly and replaced the igniter, neither did they trick. Any more suggestions on to why it will run for 10 seconds then turn off? I would try asking the nice people over at TroubleFreePool.com’s Forum. There are a bunch of techs and knowledgeable homeowners that cruise the threads. if that doesn’t help, then you may need to have a technician come out to inspect the unit. When I turn on my my Minimax NT (heater off), the green power and pressure lights come on. The temp LEDs show dashes, the posts an ERR message and the Service light comes on. I have access to old parts and have been very succesful keeping this workhorse running each year. Don’t want to give up on her now but not sure what coudl be the problem without the nbr codes. Any idea where to begin trouble shooting this? You probably want to call Pentair directly (800-831-7133), because I only know what to do in case these codes pop up. Hopefully, they can help you keep your heater running. I thought I’d share this with the group. 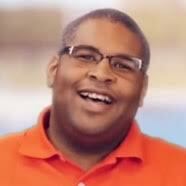 Had a chat with the guy who services my pool. He thought it was the temp sensor. Once he said that, I remembered that the water temp had been flucuating quite a bit the last few weeks. We are in the midst of pool opening cleanup which requires frequent back washing. I just thought the flucuations were caused by changing water pressure / flow. He showed me a simple test to verify a bad temp sensor. He had me pull the sensor connection at the panel on the door. On mine, its a yellow lead with a wihite connector. By pulling off the connector, two small prongs are exposed. If you lightly wet your finger and touch both prongs simultaneously, the prongs will register the water temp thus bypassing the faulty temp sensor. When I tried it, the ERR light went out. BINGO. Going to install a used temp sensor today. Looking forward to swimming on Father’s Day tomorrow. Good luck guys. First time using my brand new pentair minimax 125 heater and after running it today I turned it off but decided to run it a little longer and I get a code R14. The unit turns on but the heater won’t fire up. Any ideas? Having a pool party tomorrow and the water is not where I would like it to be. After not using our Minimax for a season and replacing our pool pump, I received the Er04 code. The power, thermostat, etc lights were on but not the heater light. The fan was on and blowing air out of the top of the unit. I went and checked the manual and read that if the unit had not been in use for a while that it is common for it not to ignite. By the time I had finished reading that, the system had ignited and the spa was heating. We used it the next evening and it fired up properly. After a couple hours when I went to turn it off, I noticed the led already said off, though the spa was hot as expected. The next day, it wouldn’t ignite and ER04. Now, on my pentair, the panel says ER04 = Bad ignition (and not fan failure) Any idea of what I should do? I have a 10 year old MiniMax NT Series that will not engage. There is an error msg light of e08. I have looked in the manual and also online and cannot find that message indicator. Has anyone come across the same situation. I tried to search for the E08 too and came up dry. I eventually called Pentair, and they state that it is not a valid code. The codes numbers stopped after E06. The tech I spoke to sad, you main have a display issue, along with a deeper issue preventing your heater from turning on. They would have to know at what point does your stall out in the process of starting to figure out the issue. He also said, you should give them a call and they would be able help you figure out the problem over the phone. Mine says “ LO “ and doesn’t turn on. The pressure switch light is on and so is the power led. No other system indicator leds are lit. Any suggestions? Thanks! I should add that the temp outside has dipped below freezing for the last 2 days. Not sure if that could play into this … ? It means the temp is too “LO” for the heater to operate. I’ve been fighting with my Mini max not for a month. I have replaced the igniter, flame sensor and ignition control module. I finally have flames in all of the burners but it goes out after a minute or so. It is now giving an E05 ignition code. The unit is clean, all wires intact, fan works. I’m out of ideas, I’d love to hear some. The first idea, get a new heater. As much as it pains us DIY-ers, sometimes calling in a pro is the only thing left to do. I have an older Minimax NT heater and I don’t have the digital display on it. Just have the lights on the display. My heater starts then shuts off within 20 seconds. I replaced the thermistor, both limit sensors and the flow switch all located on the in/out manifold. It still does the same thing. How can I get the error code that the topics above have discussed? Because your heater is an older model that does not have a digital display, there is no way for you to read error codes. If your heater is that old, it may need a thorough cleaning of soot. You may also want to try contacting the manufacturer Pentair to see if they have a preferred method of troubleshooting for your model.